We are a leading Manufacturer of packaged drinking water treatment project, bottle water machine, packaged drinking water treatment machine and water bottling machine from Rajkot, India. We are the renowned manufacturer exporter, trader and supplier of enhanced quality Packaged Drinking Water Treatment Project This plant machinery is developed using optimum quality components and advanced methodology. Also, our offered plant machinery is highly appreciated by our customers for its optimum finish. Offered plant machinery is available in the market in varied specifications. 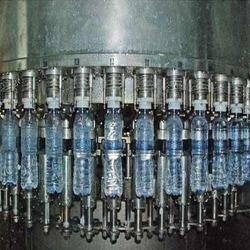 We are noted as the best organization engaged in offering high quality Packaged Drinking Water Treatment Machine. The offered osmosis plant is used to produce high-quality demineralized water. This osmosis plant is developed in adherence to the quality standards by using quality material & advance techniques. Also, our quality controllers check this osmosis plant at various quality parameters to assure a flawless dispatch. Packaging Details: As per customer required. 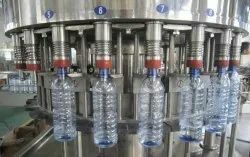 Water Bottling Machine is Skid Mounted System and can be Installed at anywhere with water Inlet. 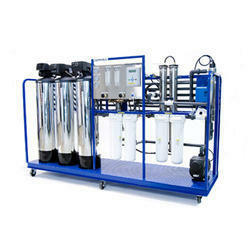 This system consists of Chlorination Remove Bacteria From Water When Chlorination Dose Done & De- Chlorination Removes Chlorination From Water , Raw water Pump Is Take Water From Water Tank And Give to Sand Filter And Carbon Filter, Pressure Sand Filter Is Removes Turbidity, Activated Carbon Filter Removes Smell & Color, Antiscalant Dosing Worked For The Reverse Osmosis System So With The Help Of That Membranes Not Chock Up. Micron Cartage Filter Is Used For The Remove Heavy Particles Which Comes From The Filters., HP pump Is Provide Pressure To Membranes and R.O. Membranes Is Remove Heavy TDS. Hardness, Alkalinity, Iron, Etc. with Pressure Vessels and sophisticated Instruments with Programmed Control Logic for its full proof Operation. System Include the Electrical and Instrument Control panel PLC Base on Skid. This Is Design On The Bas Of The BIS Standard.